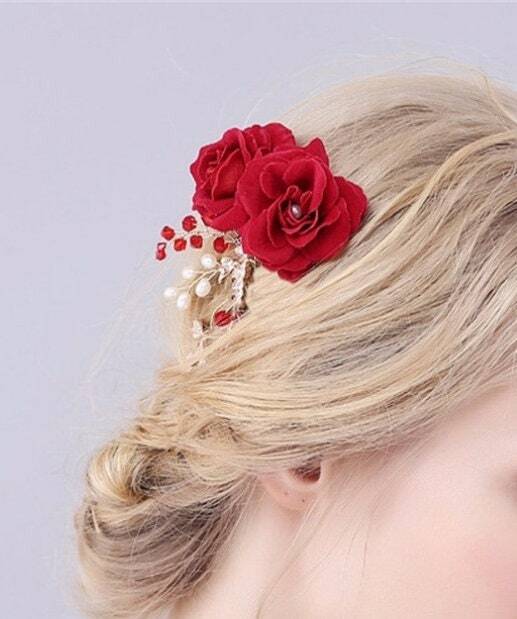 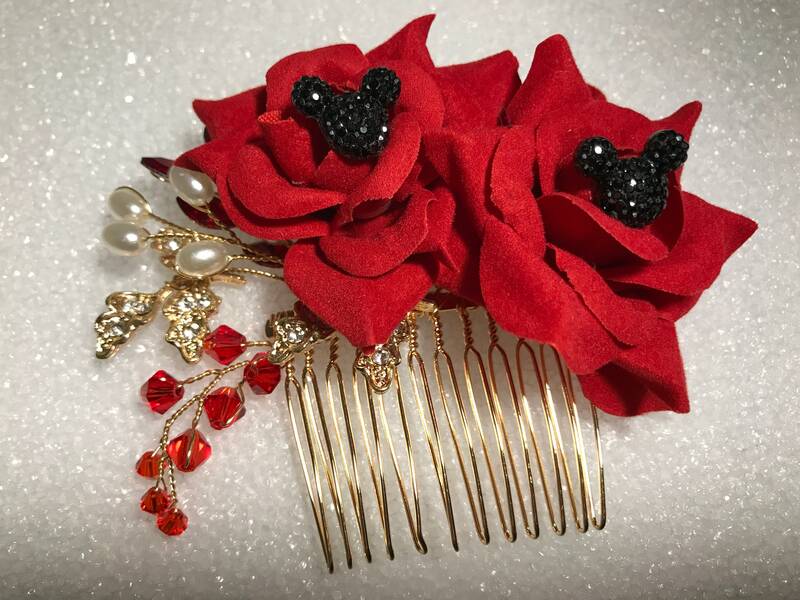 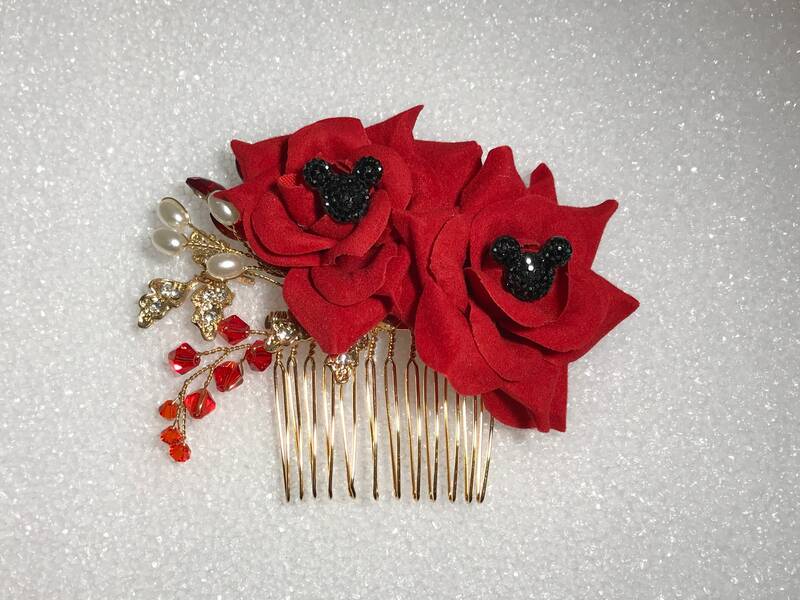 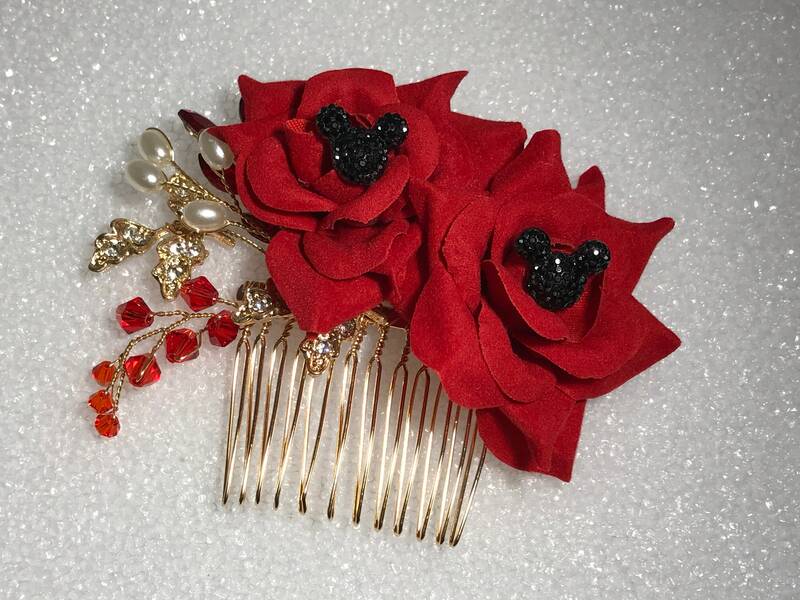 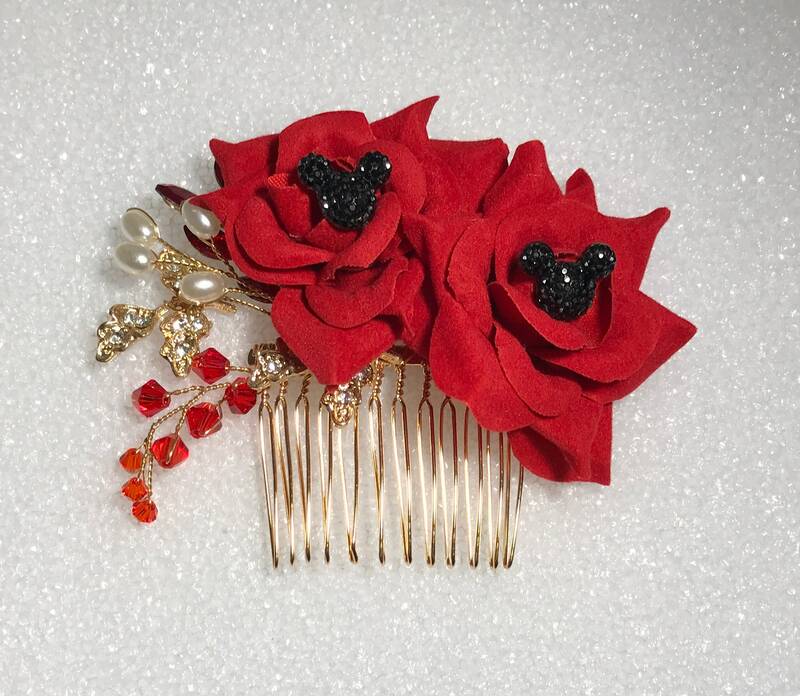 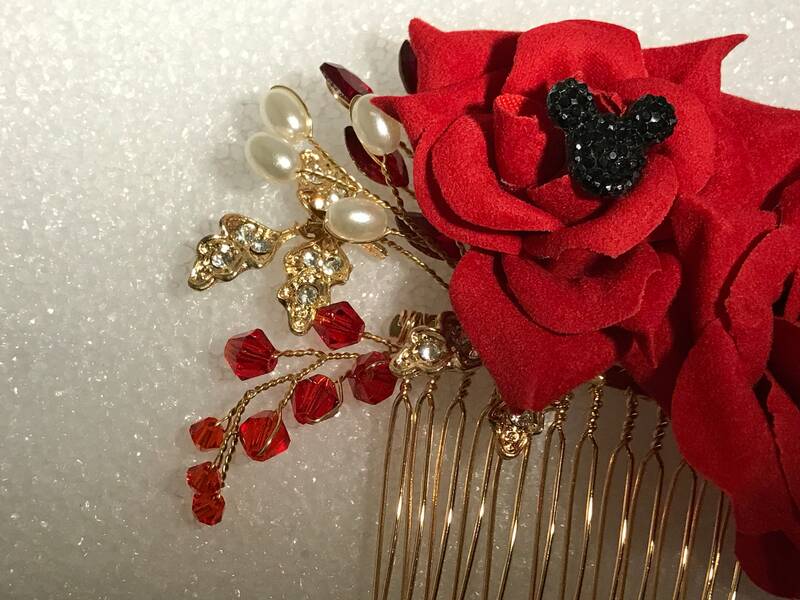 2 Artificial Red Roses adorn this comb and are three inches across. 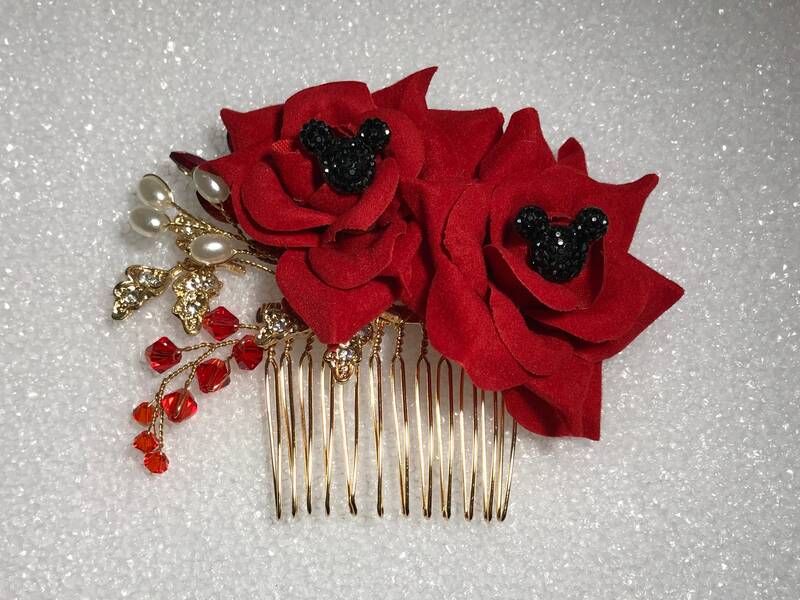 Added is a rhinestone studded spray of leaves as well. 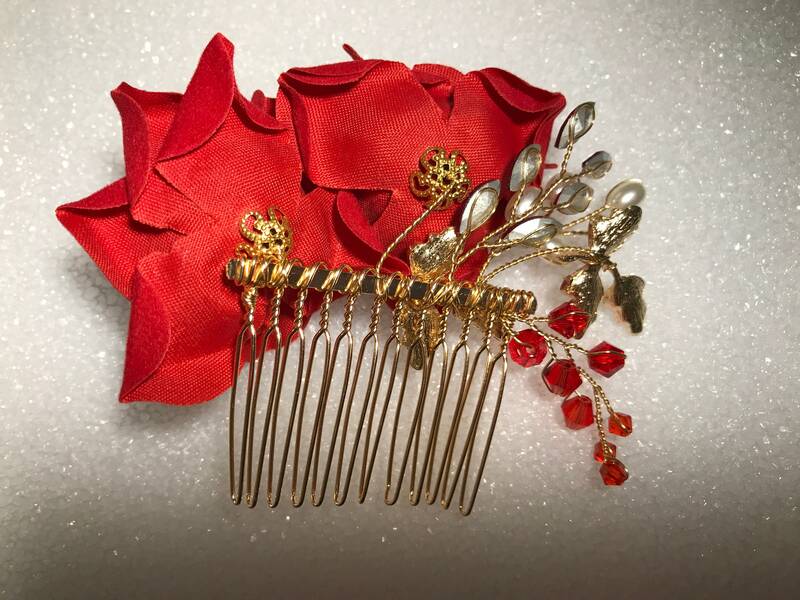 Everything is mounted on a gold tone comb. 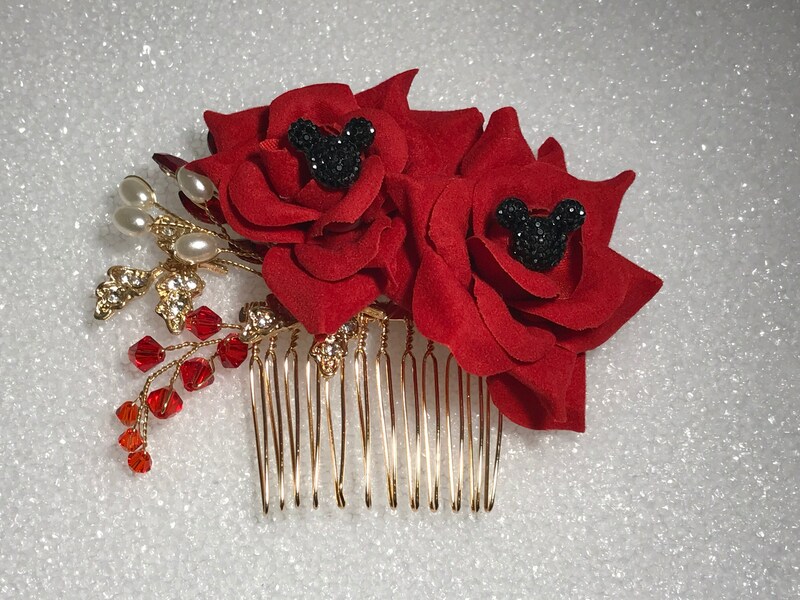 The whole piece is three and three fourths wide and three inches high. 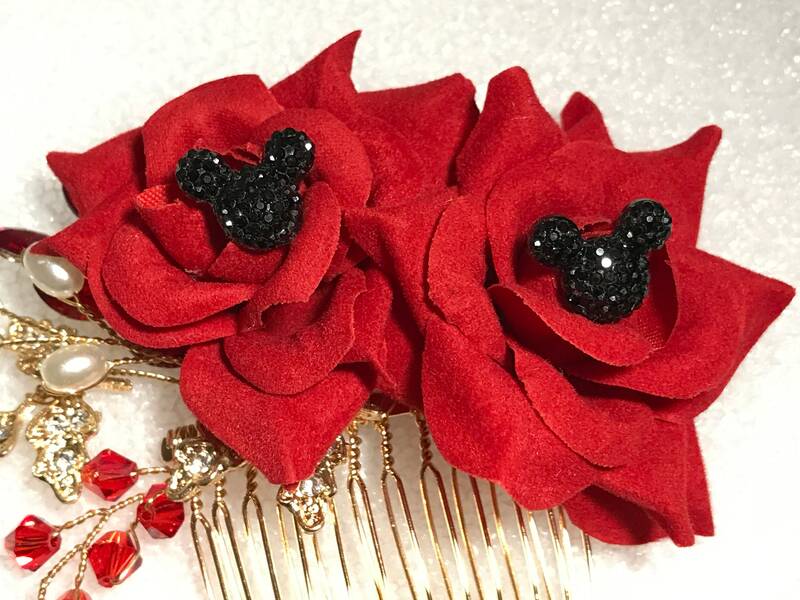 There are 2 black mickey silhouette heads mounted on each rose.